WASHINGTON/NEW YORK (Reuters) - The Federal Reserve's coming decision to reduce its massive asset holdings will set off a complex dance with global investors and the U.S. Treasury as it tries to put a final end to policies used to fight the 2007 financial crisis without upending the economy along the way. It is a feat with no clear precedent, according to analysts and officials involved in the process: a central bank trying to squeeze trillions of dollars out of markets it has supported for a decade, and in the process likely pushing up the cost of home buying, corporate finance and an array of other activities. 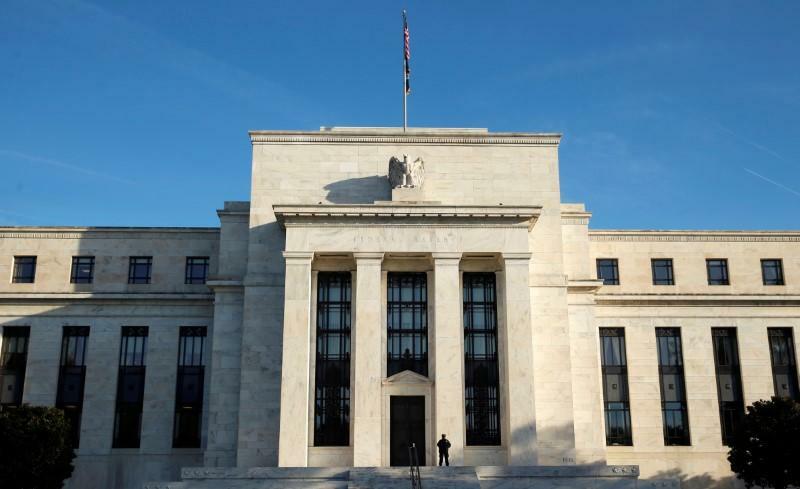 Though final decisions have not been made, the Fed may shift policy as soon as the end of this year, and over 2018 begin pulling anywhere from $20 billion to $60 billion a month out of bond markets, according to a review of current Fed asset holdings. For several years during the crisis, the Fed added to its holdings of U.S. Treasury bonds and securities backed by home mortgages to the tune of $85 billion a month before the program was slowed. The purchases were an emergency measure made necessary because the Fed's short-term interest rate - its primary tool to encourage people and businesses to spend and invest - had already been cut to zero. With the economy still in freefall, the asset purchases added to demand for financial securities, and are thought to have held down long-term interest rates in general, a boost to the home-building and other industries in particular. The central bank is already raising its short-term interest rate and has managed a series of increases without slowing the economy. When it starts to scale back the size of its $4.5 trillion stockpile of Treasury bonds and mortgage-backed securities - essentially reversing the purchases it made during the crisis - it will pose a stiff new test of the economy's resilience. Economists beginning to examine the effect of the Fed's changing balance sheet say it could amount to the equivalent of half a percentage point or more on interest rates in what amounts to a "synthetic hike." The aim is to pull that off without jolting markets. Wall Street sold off on Wednesday on signals the Fed may be preparing to scale back its balance sheet before the market stabilized on Thursday. Bond yields and the dollar have held within their recent ranges. "Their goal is not to disrupt," said Sean Simko, head of fixed-income management at SEI in Oaks, Pennsylvania. "They don't want a shock-and-awe impact. To the contrary, Fed officials said in documents this week and in prior statements that they want the U.S. central bank's influence in the market to disappear as quietly as possible, and they promised a slow, predictable and well-telegraphed decline in the Fed's asset holdings. Prior to the crisis, the Fed held less than a trillion dollars in assets, some to cover the reserves kept on hand by commercial banks, others to keep enough currency in circulation to meet demand. But the Fed's asset holdings will not return to pre-crisis levels. A New York Federal Reserve Bank report issued Thursday sketched out a working scenario that set a new "normalized" balance sheet at $2.8 trillion. If, as markets expect, the process starts in the middle of next year, the report estimated that point could be reached by the end of 2021. But getting from point A to point B will be tricky, as the Fed tries to skirt the sort of overreaction in bond markets that followed an earlier discussion of when to slow asset purchases. Though the overall size of the Fed's balance sheet has been constant for several years now, the central bank still buys tens of billions of dollars of assets each month to replace bonds and mortgage-backed securities that mature or are paid off. Those purchases can amount to a sizeable share of the roughly $60 billion in new bonds that the Treasury, on net, issues each month. The Fed's absence from the market means the U.S. government likely will have to pay more to entice private investors or foreign governments to make up the difference. Along with internal discussions at the Fed, investors and the U.S. Treasury officials have begun planning for the coming change. At the January meeting of the Treasury Borrowing Advisory Committee, a panel that includes private investors and advises the agency on the best ways to fund its debts, members encouraged officials to get ahead of the curve and determine how their monthly sales of short- and long-term securities may have to change in response to the Fed's planned actions.